So, here we have one more of those really usable Fabergé objects you didn't know you needed - a pen rest! 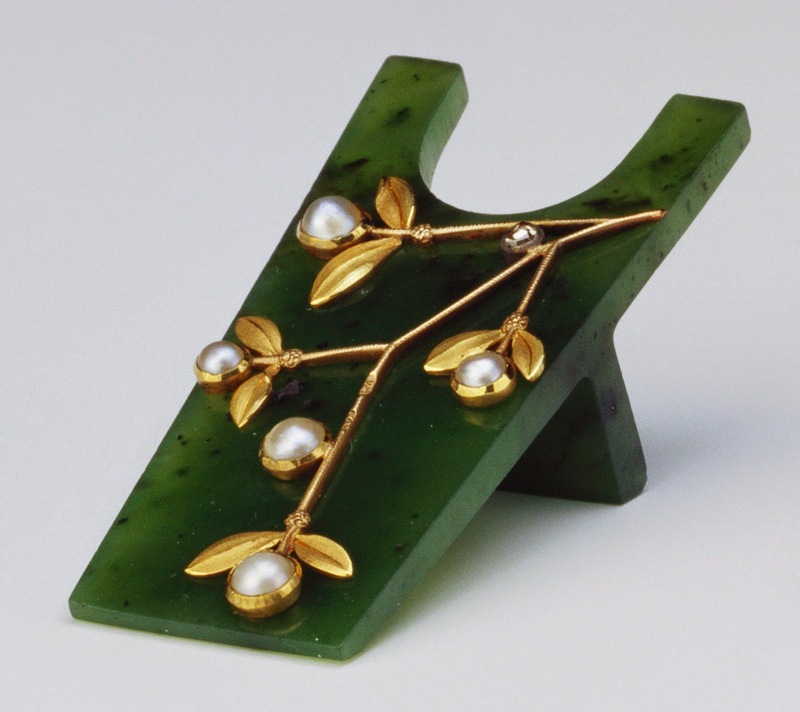 The pen rest is made of nephrite, decorated with a mistletoe design of pearl and rose-cut diamond berries on a gold stem with gold leaves. The size of the piece is 0.7'' x 1.7'' x 0.9'' (1.9 x 4.3 x 2.3 cm), and it was acquired by King George V, who always kept it on his desk. It now belongs to the Royal Collection.